Chicago Food Machinery #22 Stainless Steel Meat Grinder with Exterior Polish Finish easily attaches to any countertop surfaces for your covenant use anywhere. It comes equipped with an 8mm plate and easily dissembles for an easy cleanup. 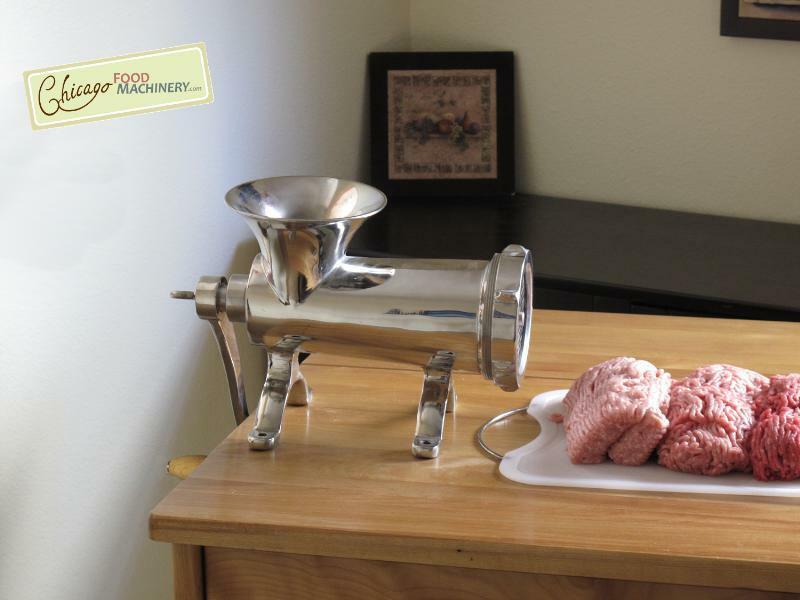 Chicago Food Machinery #22 Stainless Steel Meat Grinder comes with a 1-year Limited Manufacturer Warranty.